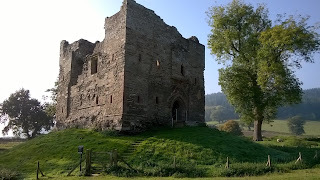 I'm on the move again, whilst stumbling through Shropshire today I had a chance to visit Hopton Castle on the border of Powys and Shropshire. One of five publicly accessible castles and eight on private land within 16 miles (25km) range. 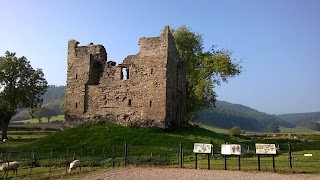 Hopton Castle was of interest to me because of the English Civil War siege carried out there in 1644 where its commander Samuel More and 31 Parliamentarian defenders fought off several hundred Royalist soldiers. 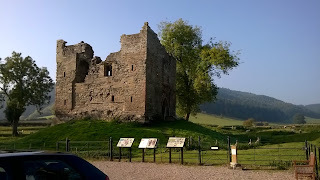 Hopton Castle, during the siege of 1644 had a number of outbuildings around it fortified for its defence against a detachment of Royalist forces under Sir Michael Woodhouse, Prince Rupert's forces based in Shrewsbury held most of Shrophire at that time. 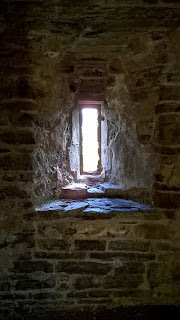 I think this is the outlet for the guarderobe since it has a shaft running upward to a room above. 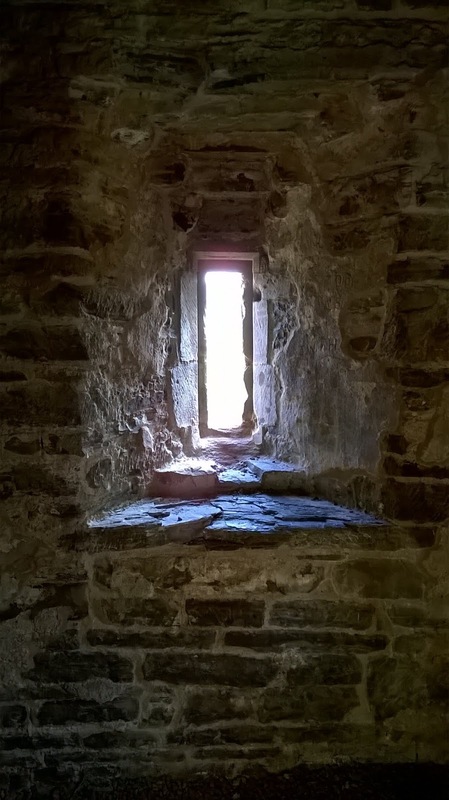 Renovators discovered a hole where the besieging Royalists eventually gained access to the tower during the siege apparently via this aperture on the outer wall of the keep, the ascent is approximately 12 feet vertically. 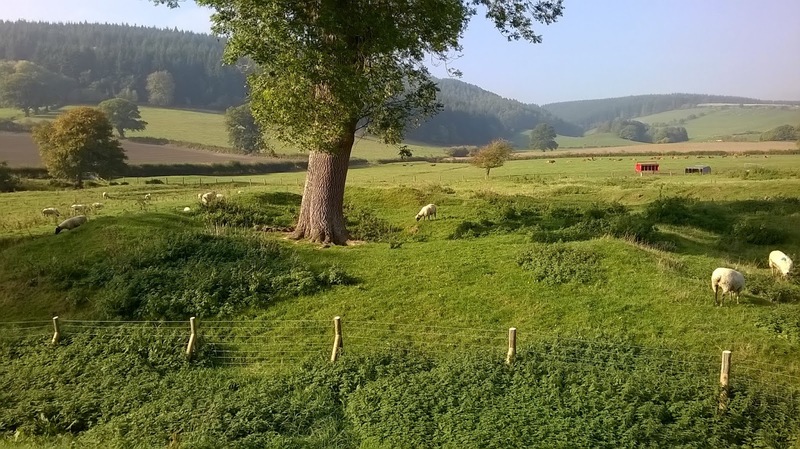 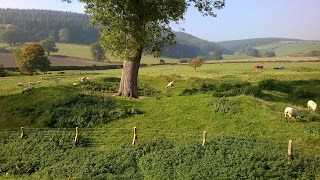 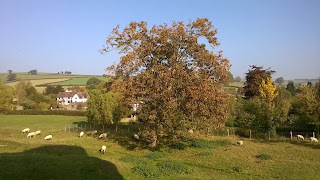 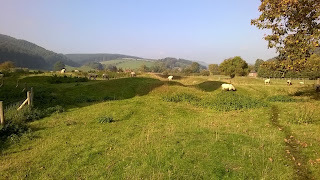 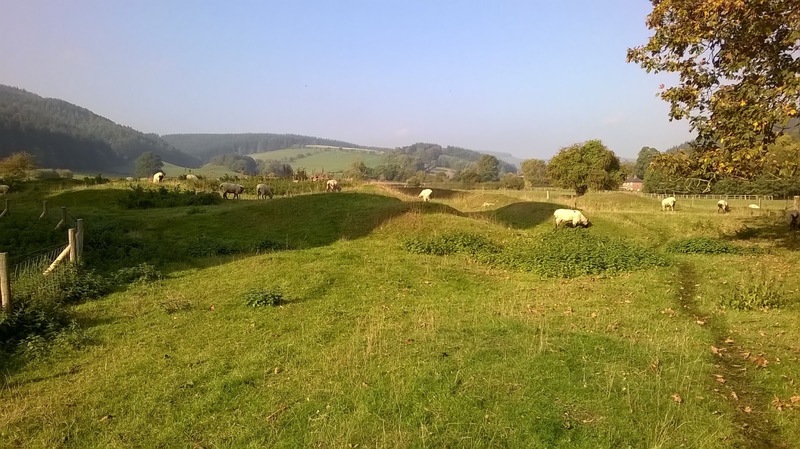 Small grassy mounds are all that is left of the oubuildings.The remains of Gregory the steward's lodgings and the manor house which featured in the early stages of the assault on the castle during the siege. 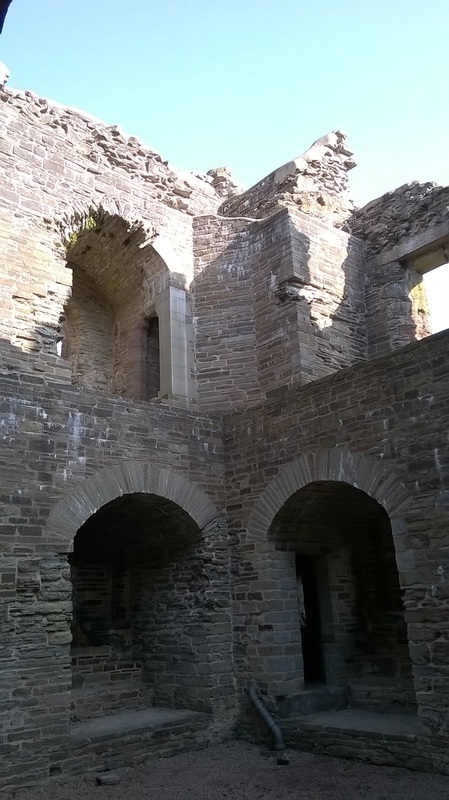 Inside restoration work has been done to stop the building decaying any further. 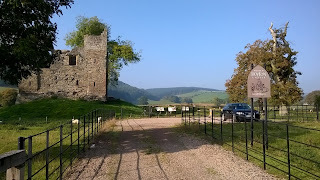 The Royalists had brought 3 cannon comprising culverin and demi-culverin to convince the Parliamentarians to surrender. 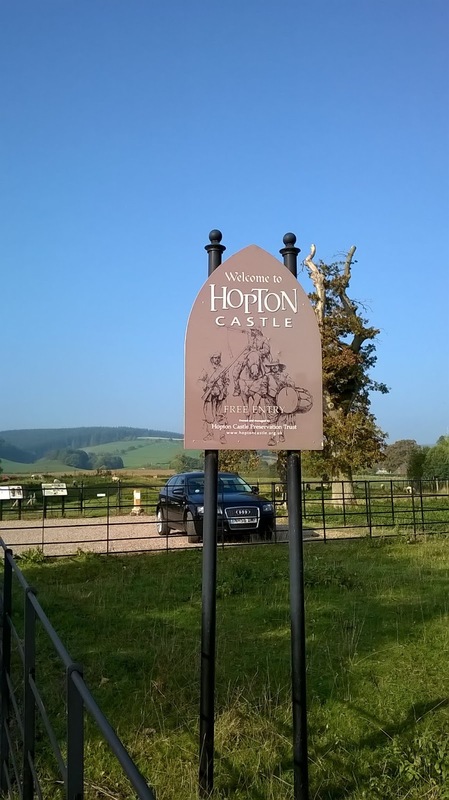 The carpark and access to the castle and leaflets are free, any donations will go towards Hoptons upkeep. 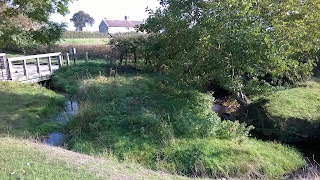 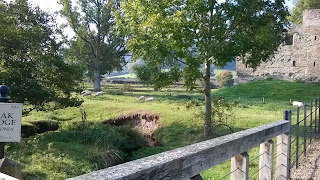 view over the small bridge. 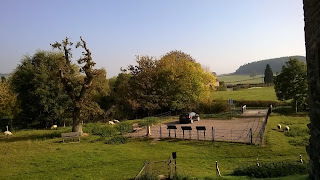 The site of infamy due to the bloody massacre of the 31 defenders, who twice refused to surrender. 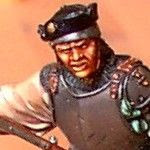 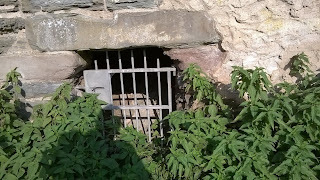 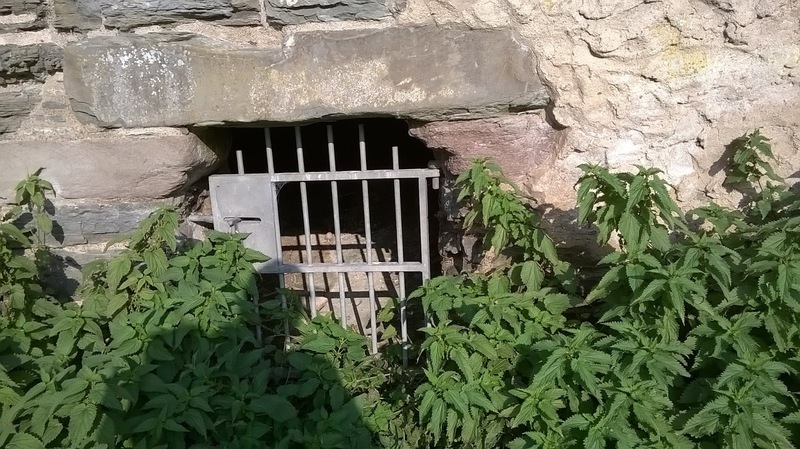 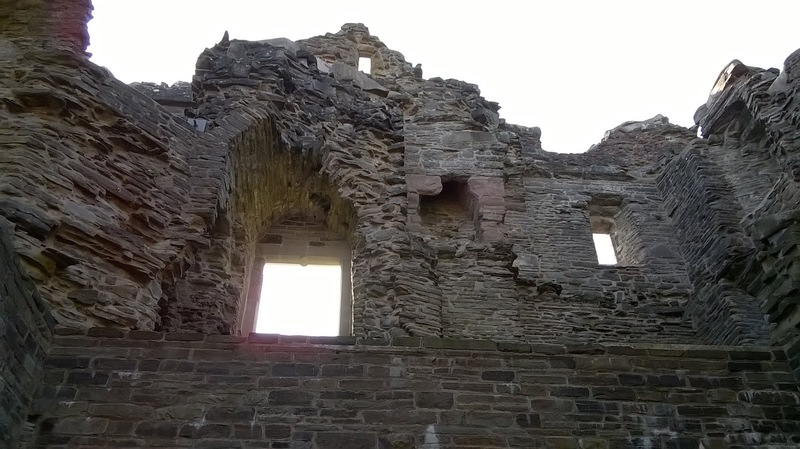 Only at the third request the garrison commander thought it prudent to surrender to avoid being blown up after Royalist engineers had dug a breach under the walls ready to fill with gun powder. 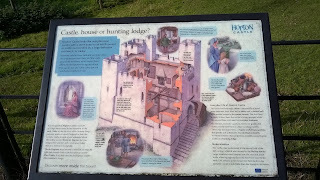 Apparently the Royalist intention was to reduce this small castle at Hopton and use it as a base to attack the Earl of Oxford's castle of Brampton (on private grounds). 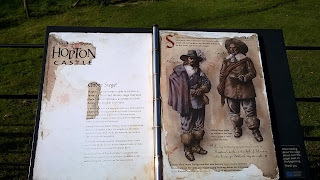 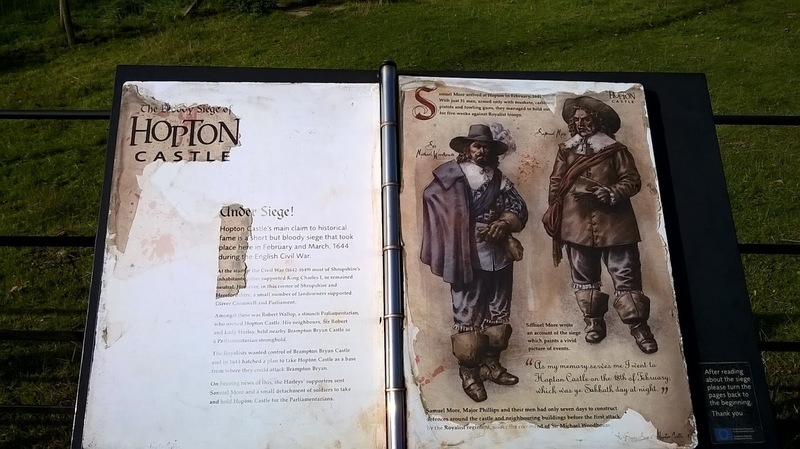 Castle Brampton was held against a Royalist siege by the Earl of Oxford's wife Brilliana in 1643 while her husband and son were away fighting for the Parliamentarian cause. 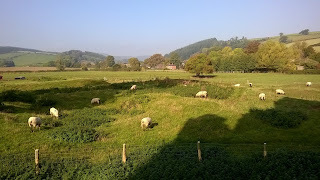 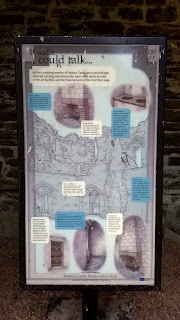 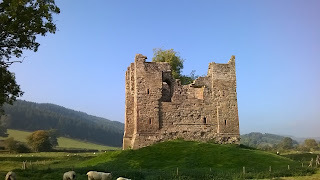 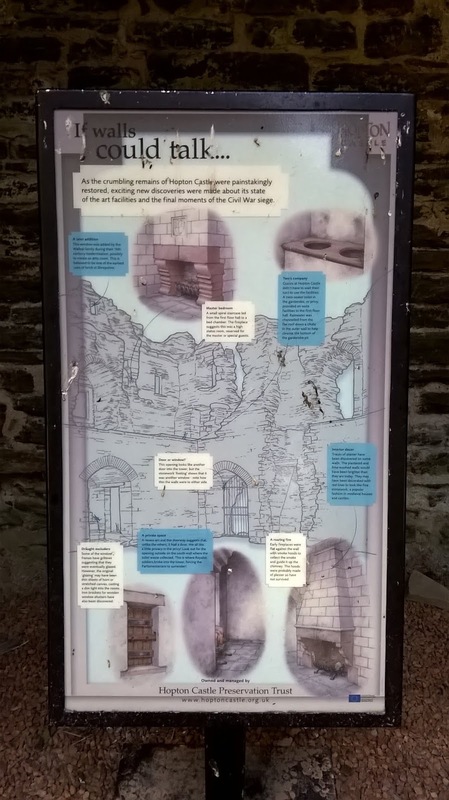 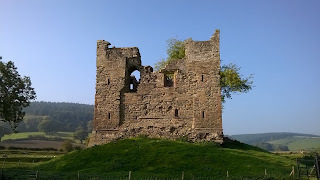 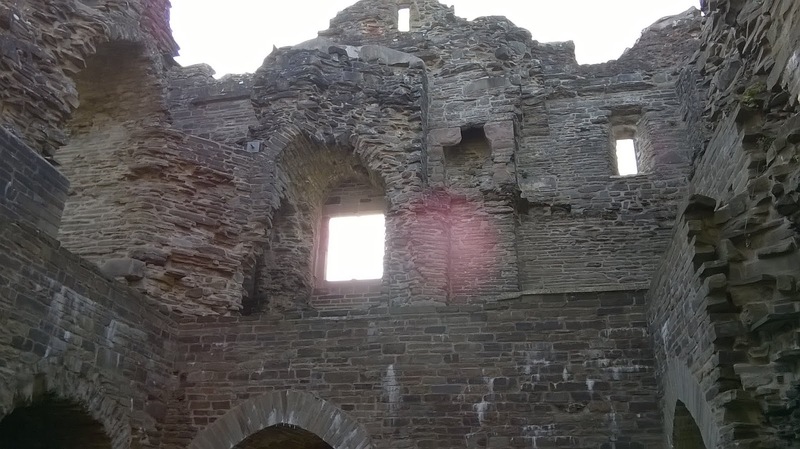 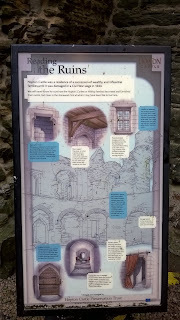 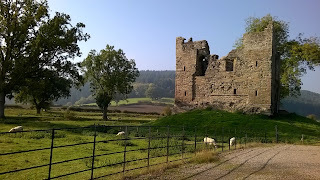 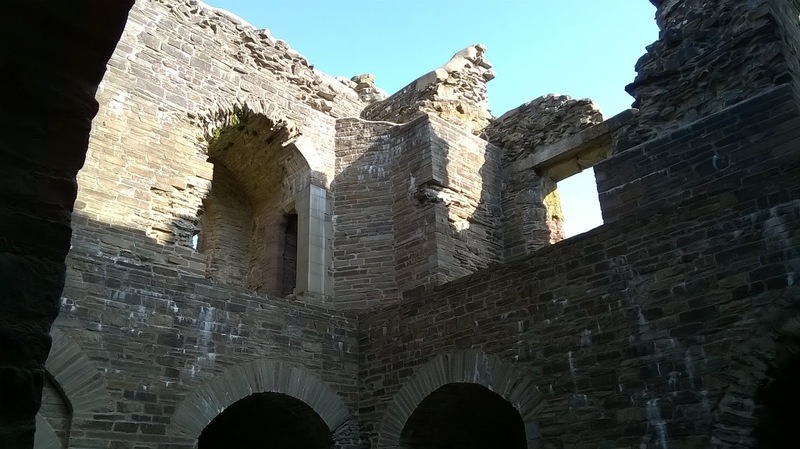 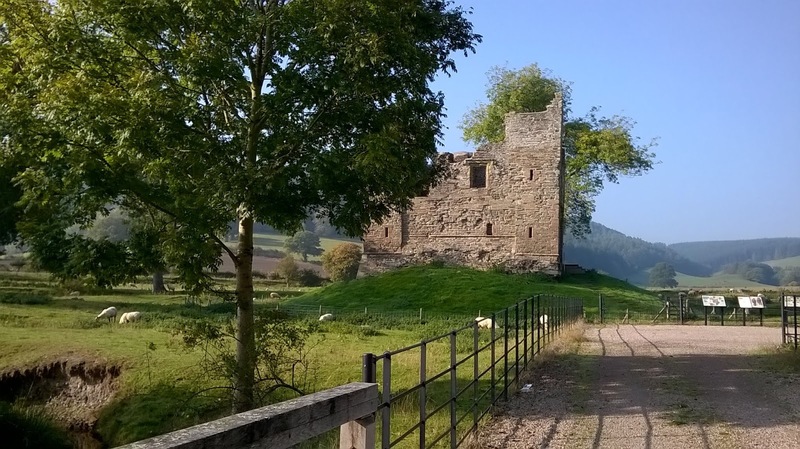 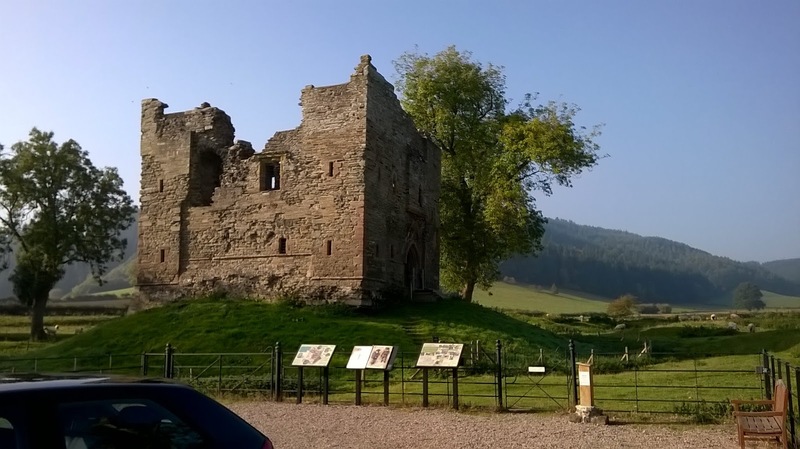 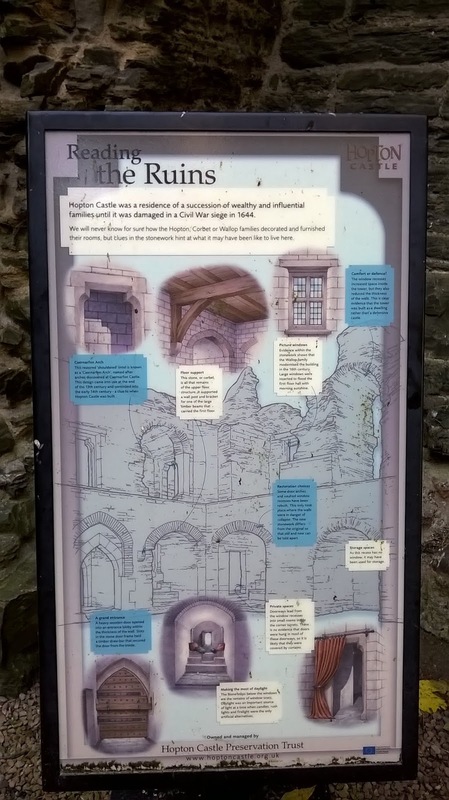 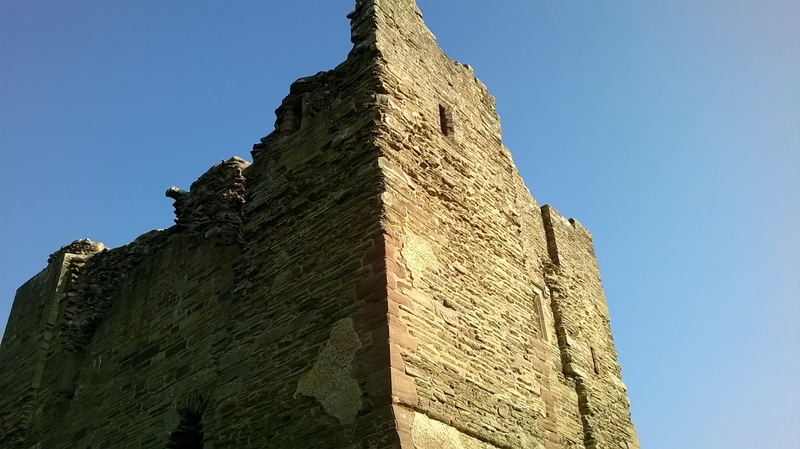 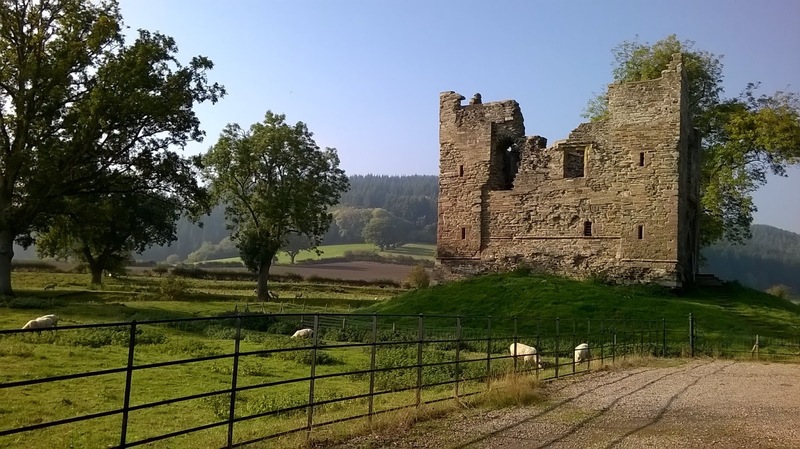 Hopton castle is obviously going to be in the shadow of its more popular castles such as Stokesay and Ludlow castle. But it could make a small interesting skirmish wargame with 31 defenders and 1 commander Samuel More fighting for Parliament against several hundred Royalist foot armed with muskets pike and supported by 3 cannon culverin and dei culverin commanded by Sir Michael Woodhouse, fighting through the outhouses and enclosures on one side of the castle and trying to support a breaching party digging at the base of the tower in the hopes of planting some barrels of gunpowder to demolish the keep.